After years of learning the art of DJ'ing from his older brother, a 13 year old Levela wanted to know how the tracks were made so he tried his hand at production. Spending each and every waking minute in the studio, Levela began to build a large back catalogue of tracks that he believed were good enough quality to release to the public. So he sent several demo CDs & e-mails to a number of labels for some feedback. Soon after this, DJ Phantasy from Easy Records spotted the young talent and invited him to work exclusively with his label. For 5 years, DJ Phantasy became like a mentor to Levela by giving him production tips and guiding him into the D'n'B scene by setting up collaborations with high profile names like Skibadee, Funsta and Harry Shotta to name a few. This brought about Levela's debut solo 12" on Easy Records "Dubstyle Ft MC Funsta" & "Stamina" followed by the hugely successful 5 track "Stark Ravin' Mad EP" which topped the Drum'n'Bass Arena Album Charts as well as taking the top 5 places on the Nu Urban Download Charts. Other releases throughout this time include his collaborations with Dub Zero entitled "Overdrive" & "Messy" which also reached no 1 on the DNBA charts, no 1 on the Nu Urban Download Charts and was a hand picked, Featured Release on Trackitdown.net. These releases saw Levela get many DJ bookings all over the UK and Europe as well as becoming a resident DJ for Innovation and Devotion events. Levela has performed to tens of thousands of people over the last few years in a number of different countries including Germany, Belgium, Spain, Holland, Czech Republic and Austria. Crissy Criss from BBC 1xtra has supported several of Levela's tracks on his weekly radio show as well as having extensive club play from almost every major DJ in the scene. 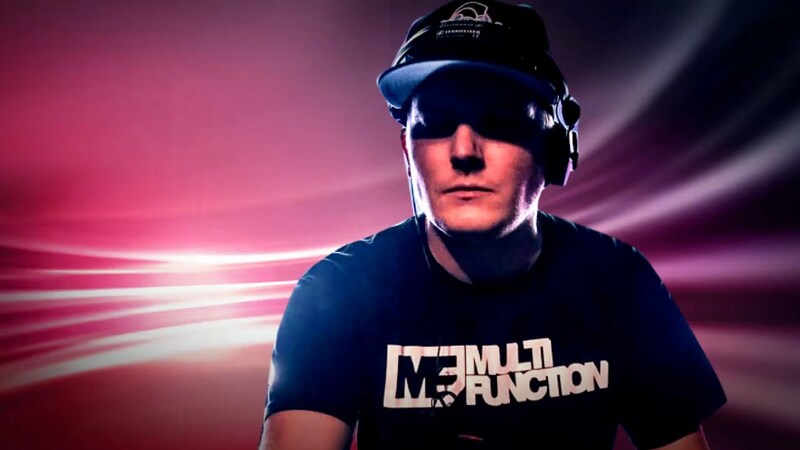 April 2010 saw Levela set up his own record label, Multi Function Music, which has consistently released tracks from himself as well as other up'n'coming and established artists, with each release hitting the sales charts without fail. Soon coming up to release number 32, Multi Function Music is going from strength to strength with high profile artists wanting to work with the label. In 2010, the dubstep A-Lister Datsik head hunted Levela and suggested they work together on a few projects which brought around the highly anticipated "Levela Drumstep Remix" of Datsik's biggest track to date, "Firepower". This track was supported by Excision, Datsik, Skrillex, Downlink and many others before being released on Excision's label Rottun Records in April 2011. More recently, Levela has remixed for Benny Page, Dope Ammo, Konichi & Decimal Bass (Annix) & more. Now with Levela's YouTube track uploads totalling over a million views, there's no surprise he has high studio demands, a busy DJ diary, remix offers flying in and a Europe wide Multi Function tour in the making.